Universal Columns are available in various sizes and weights per metre, cut to any specified length in-house. Stock kept in both Painted & Self Colour available for next day delivery. 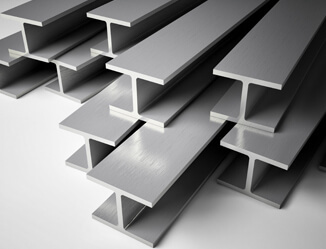 A universal column is an equal joist created using mild steel. Offering support for structures, a universal column is vital in ensuring structural integrity and safety. Steel columns are extremely beneficial and vital in building construction as well as renovation work that may be taking place within a build site. Universal beams are designed to economically resist loads exerting compression. Steel beams will not bend or warp and will not rot in comparison to wooden beams. A Universal Column’s width is almost equal to depth resulting in ideal load bearing where there is limited space within the project. This allows for safer environments whilst in a construction area due to the fact that structural integrity will be greatly fortified and enforced.